Dr. J. Art Mirelez, Jr. maintains one of the most successful private dental practices in Fresno. A local boy, born in Fresno, and raised in the nearby small rural town of Caruthers, he attended and graduated from Caruthers High School. 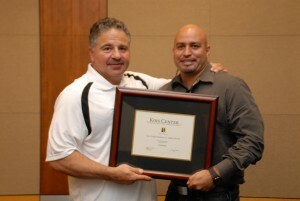 After graduation, he attended Fresno State University and received a Bachelor’s degree in Chemistry with Honors. Dr. Mirelez received his Doctor of Dental Surgery degree from the University of California, San Francisco (UCSF) School of Dentistry in 2002. Upon completion of dental school, he was selected for a General Practice Residency Program at Fresno’s University Medical Center, where he treated medically compromised patients under general anesthesia. Dr. Mirelez then went on to work for Healthy Smiles Mobile Dental Foundation, a local non-profit children’s dental organization. To himself, he always appears to be doing both. 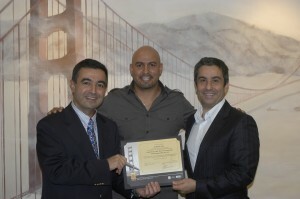 Dr. Mirelez later attended the prestigious Misch International Implant Institute Program and after completion, acquired his Fellowship with the International Congress of Oral Implantologist, one of the highest international designations for skill in the surgery and restoration of dental implants. Dr. Mirelez earned his Fellowship in the Academy of General Dentistry (FAGD) at the Academy of General Dentistry (AGD) in 2011 after completing over 500 hours of dental education after dental school. Today, Dr. Mirelez has over 1400 hours of continuing dental education completed and all his patients rest assured that only excellent and scientifically proven dentistry is provided. Dr. Mirelez has 2 passions in life; dentistry and family. Dr. Mirelez’s blessed life starts and ends with 5 beautiful girls. The first being his high school sweetheart and now wife, Helena, who cares for their 4 amazing daughters Mia, Ava, Ella & Sophia. His daughters keep him busy with softball & soccer coaching, swim, dance and gymnastics. Crossfit, running and participating in community recreational sports keeps Dr. Mirelez in shape. Dr. Mirelez is also a motivational speaker for local schools and Universities. He hopes to encourage as many people as possible to pursue careers in the health profession and even allows students intern at his office. Dr. Mirelez travels internationally in search of safe and advanced implant techniques, one of which is the Ickert Dental Centre of Canada. Dr. Mirelez is a graduate (1 of 300 worldwide) of the prestigious Kois Center, an institute for elite dentists who choose Advanced Dentistry Through Science. Dr. Mirelez also advanced his sedation training with the Dental Organization of Conscious Sedation to become a leader in Sedation Dentistry. Dr. Mirelez’s desire to be the best clinician possible through training and education has allowed him to acquire the honor of Fellowship with the Academy of General Dentistry. Thus, continuing his education and keeping apprised of the latest technological advances in the dental industry, in an effort to better serve his patients to educate and assist them in making the best decisions regarding their dental healthcare. Dr. Mirelez is excited about dentistry’s latest advances that promote complete health and wellness driven treatment options. With his education, passion and experience, it is easy to see why Dr. J. 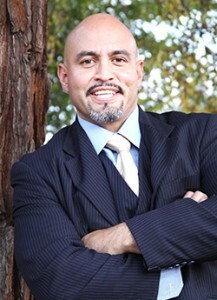 Art Mirelez, Jr. is one of the top dentists in Fresno. Dr. Mirelez earned his Fellowship in the Academy of General Dentistry (FAGD) at the Academy of General Dentistry (AGD)’s 60th Annual Meeting & Exhibits in San Diego, on July 30, 2011. The Fellowship is one of the few post-graduate designations available to general dentists. It requires the dentist to complete over 500 hours of continuing education in various disciplines and to pass a rigorous examination. 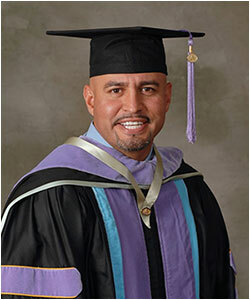 Dr. Mirelez was among 322 general dentists who received the Fellowship award in San Diego. Only 5% of all dentists in the U.S. have this prestigious Fellowship recognition. Rest assured you are in great hands here at Mirelez Wellness Dental. The Kois Center is a world renowned educational center in Seattle, WA for dentists providing a didactic and clinical program with the latest advances in esthetics, implant and restorative dentistry. Dentists from all over the world travel to the Kois Center to learn from the teachings of Dr. John Kois. Curriculum is based solely on the latest research. The Kois Center is a self-funded center, which means it does not accept sponsorship or funding, and is not swayed by the agenda or message of sponsors. Dr. J. Art Mirelez, Jr., FICOI, FAGD became eligible for the Mentor exam after successfully completing over 240 hours of education at the Kois Center. The rigorous exam consisted of both a written and oral presentation. Dr. Mirelez passed the exam on his first attempt! By passing the exam, Dr. Mirelez has proven that he understands the concepts and principles taught by Dr. Kois well enough to facilitate and teach other dentists. He is 1 of 62 dentists worldwide to be honored with Clinical Instructor Distinction. One of Dr. Mirelez’s countless efforts to become the best dental provider in Fresno is illustrated here, as he is now the ONLY Kois Center Clinical Instructor in the entire Central Valley. Dr. Mirelez affiliation with V2R Biomedical (“Virtual to Reality”) as Chief Clinician, Co-Developer and Lecturer for an innovative medical device called “GuidedSMILE” has been a very rewarding honor. This new system for CT guided implant surgery helps dentists, surgeons, laboratory partners, and our patients in all phases of implantology, from CT imaging to final restoration. With this technology, teeth in a day is now possible in a far easier, less expensive, more predictable and less invasive manner. The final cosmetic result is stunning and life changing. Feel free to speak to some of Dr. Mirelez’s patients who have taken advantage of this amazing technology. With his knowledge and passion for dentistry, be confident and comfortable that you, your family and friends will be provided with the highest quality dental care when you visit Mirelez Wellness Dental.